The fourth generation joined the business in 2003 when Bert Maxwell IV began full time work. The long term commitment to the furniture business by the Maxwell family allows customers to be confident that they are buying quality furniture from an experienced and knowledgeable staff. As owner of Bert Maxwell Furniture since July of 1972, I have seen enormous changes in the furniture business. My grandfather started in the furniture business in 1904, over 100 years ago and instilled in his family the values of operating a business. Quality, selection, service and price were and still are the core values of the business, but the field of play is very different today with so many finance schemes and poor value product on the market. Our experience allows you to navigate the furniture maze with confidence that you will be getting a quality product to fit your needs at a fair price. Hello, I’m Charlotte Alexander. I am a design/sales representative here at Bert Maxwell Furniture. With over 12 years interior design experience and IDS (Interior Design Society) certification, I welcome you to come by today and let me assist you with your selections of fine furnishings and accessories for your home. 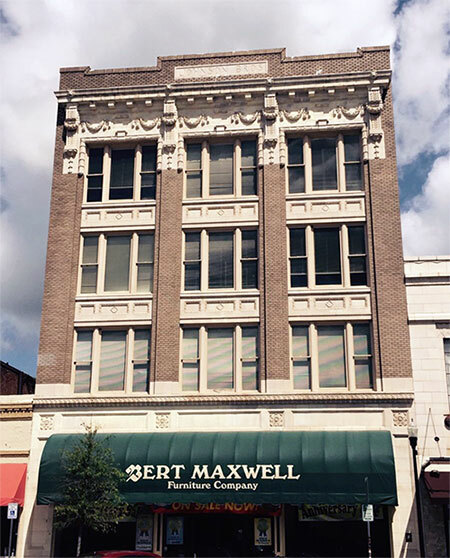 I have been working here at Bert Maxwell Furniture since May of 2003 when I graduated from Furman University with a degree in Business Administration. Since I began working here I have been instrumental in updating the store to meet today’s customer demands. I think these updates will enhance the experience. My specialty within our furniture store is outdoor furniture. I can assist you in finding quality outdoor furniture that meets your needs of both comfort and style.